Lead the architecting, design and development of new product features for production quality services, collaborating with internal and external partners and identify scaling opportunities to improve product performance and the ability to meet community demand. Create a stellar developer experience (DX) for Neuromation community, whether they are just starting with Deep Learning or veteran AI Research Engineers. 5+ years experience with architecting and developing large-scale cloud applications and services. Create software that is customer centric and will allow customers to use smart technology to build their businesses. Work on a tech stack that includes but is not limited to Java, React, Struts, Spring Boot, jQuery, MySQL and AWS, within a Microservices architecture, with all the benefits that provides. Work closely with the team and CTO to ensure high quality software design and architecture. We are also open to established back-end developers from a variety of technical backgrounds. Be used to talking to non-technical colleagues to understand the business requirements, understanding priorities and estimating your work on an ongoing basis. 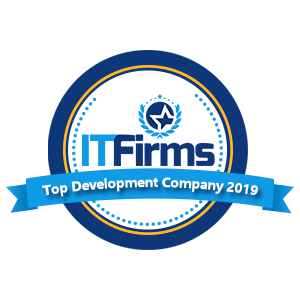 Ideally demonstrate knowledge and experience implementing design patterns, Test Driven Development, CI/CD and other software development best practices. In exchange for your exceptional technical skills, customer focused performance & out of the box thinking you’ll be reward with a career changing experience only consulting can provide.